In March, I got a phone call from one of our longtime customers. She explained that she was calling on behalf of a friend, Patti, who had just been diagnosed with Stage IV ovarian cancer. The cancer was very aggressive and had quickly spread to the liver, lymph nodes and lungs. One of the lumps on the neck measured more than three inches and had doubled in size in just a few weeks. Given the prognosis, the doctors told Patti that, without treatment, she had a few weeks to a month or two left to live. Did I think our new vials — combining Omega Cure® with melatonin — could help Patti, her friend asked? Studies show that both omega-3 and melatonin can increase the efficacy of chemotherapy and radiation therapy in animal studies and some human trials. Other studies show that omega-3 and melatonin inhibit cancer cells at almost every stage of their development and even help cancer cells become more sensitive to traditional treatment. In addition, several investigations have found that cancer patients often have abnormally low levels of omega-3 and melatonin. What Omega-3 and Melatonin Dosage Should Be Used? Looking at the body of research, one thing is clear: A person needs a stronger than usual dose of both omega-3 and melatonin in order to see results. For omega-3, cancer studies often use large doses of up to 18 grams of fish oil a day, which is equivalent of taking nearly 20 regular fish oil capsules (or eight prescription omega-3 pills). For melatonin, the dose would need to be significant as well – closer to 10 times the common dose used for alleviating ordinary jet lag. In spite of the promising research, omega-3 and melatonin have never been used together as part of a standardized cancer treatment protocol. In large part, the delivery system is to blame. The idea of having to swallowing handfuls of bad-tasting fish oil capsules is enough to convince most doctors and patients that omega-3 supplementation is not an appealing treatment option — in particular because many cancer patients already struggle with nausea and loss of appetite. This explains why recommendations from early omega-3 fish oil studies were rarely followed up. How Is Omega Cure Different? 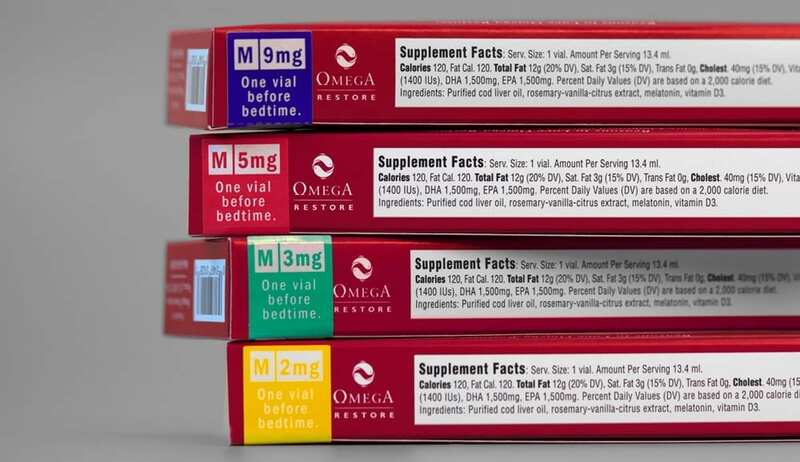 On the other hand, our patent-pending Omega Cure vials, containing fresh liquid cod liver oil with no fishy taste or smell, would make it easy to add effective amounts of omega-3 and melatonin to a treatment plan. We had also found that having the melatonin dissolved in the oil, and not taken as a separate tablet, seemed to potentiate the benefits of both the omega-3 and melatonin. 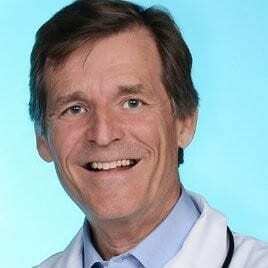 With this research running through my head, I suggested Patti could try two custom-made Omega Cure vials every night, delivering a total of 7000 mg of EPA/ DHA and 30 mg of melatonin, as well as 4000 IUs of Vitamin D3 and 9000 IUs of Vitamin A. It certainly couldn’t hurt, since no study had ever found that omega-3 and melatonin, even administered at such high dosage levels, would be damaging. And one study (discussed below) had indicated that combining similar doses of omega-3 with melatonin could at the very least stabilize weight loss and increase general wellbeing. Patti consulted with her oncologist and started taking the vials. She quickly began sleeping better and having more energy. Encouraged by this, she started chemotherapy one week later. Today, over three months since that first call, most of her metastases have either disappeared or shrunk by 70 percent. In addition, a blood test revealed that her cancer marker has fallen by more than 90 percent. Omega-3 and melatonin are powerful substances. When used in proper dosages, these natural partners have the potential to make a big impact. Take, for instance, the results from one cell study examining Taxol®, one of the most common drugs used in chemotherapy. In the study, researchers found that supplementing with high dose DHA omega-3 increased the potency of Taxol by 13 times (1). Several studies on cancer patients have also found that both omega-3 and melatonin may double survival time, even in advanced stage cancers (2, 3). I will delve into the research further into this article. But first, it is important to understand the basics of how melatonin and omega-3 work in the body. Omega-3 and melatonin are natural partners in the cell, each fulfilling their unique roles as well as influencing the bioavailability and functioning of each other (4, 5). Put simply, melatonin is like the carpenter and maintenance crew of the cell. And omega-3 provides the indispensable material for the carpenter to work with. The omega-3 molecules serve as the crucial building blocks for the cell membrane and the walls of the mitochondria. From their position in the cell, the omega-3s influence cell signaling, cellular interaction and membrane fluidity, in addition to being involved in numerous metabolic functions. While omega-3 is crucial for cell functioning, these essential fatty acids are not produced by the body. This explains why omega-3 needs to be ingested in significant amounts to ensure there are enough of these ‘building blocks’ to go around. Furthermore, only a few foods — fatty fish, natural fish oils, and breast milk, to be exact — contain all the different types of omega-3, including EPA and DHA. Since most Americans consume limited amounts of seafood, they never get enough omega-3 in their diet. Omega-3 is a family of molecules, including EPA, DHA, DPA, and others. Each fulfills an important role in the cell. Why Is Melatonin Important for the Body? In comparison to omega-3, melatonin is produced by the body. It is also found in many types of foods, including certain nuts, fruits and vegetables, fish, and herbs. This fascinating hormone regulates our circadian cycle, and is involved in nearly every aspect of cell metabolism, energy production and the body’s immune response. Melatonin has the unique characteristic of being both water and lipid soluble. This quality is what allows the melatonin to quickly penetrate most organs. While melatonin is ubiquitous, its presence in the body is under threat thanks to modern living. Light pollution, be it from city lights or our smart phones and electronic devices, compromise the body’s natural production of melatonin. In addition, the body’s production of melatonin decreases with age, usually beginning around age 40. Researchers have been exploring the benefits of omega-3 for cancer prevention and treatment for some time. A quick search for ‘cancer and fish oil’ in the research database PubMed.gov, sponsored by the US Library of Medicine, garners many hundreds of results. By and large, the study results are inspiring. In a review published last year, researchers heralding from five different international universities describe the effects of omega-3 on cancers. Looking at the data, they state that omega-3s are known to “improve efficacy and tolerability of chemotherapy.” Furthermore, they note that omega-3 can play a therapeutic role against certain types of cancer, including breast cancer, leukemia, pancreatic cancer, prostate cancer and more (6). While omega-3s seem to have much potential for cancer treatment, researchers also note a discrepancy between the lab results and traditional omega-3 supplementation in practice. In an excellent article from the University of Leicester, Stephenson et al describe how omega-3 fatty acids can profoundly inhibit cancer cell development at every stage of their cycles (initiation, growth and metastasis) (7). Throughout the review, however, the authors note that the benefits of the omega-3 fatty acids are dose dependent, meaning that the dose must be high enough to be effective. They suggest this could be because of the way omega-3 is being supplemented (i.e. in capsules) and recommend the need for new ways of supplementing fish oil in order to fully uncover the benefits of omega-3 for fighting cancer. These sentiments about the dose necessary to achieve results are echoed in another study, published just last month by researchers at Laval University in Canada. The researchers looked at how EPA and DHA omega-3 influenced gene expressions involved in cellular immune response, inflammation and cancer control (8). They again note that the effects of the omega-3 fatty acids are dose dependent and different at a high dose compared to a low dose. Physicians and patients are misinformed if they believe that taking one or two fish oil capsules will have any significant clinical effect. Whether discussing patients with cancer or chronic inflammation issues like rheumatoid arthritis, one takeaway from omega-3 studies is that getting an effective dose matters. 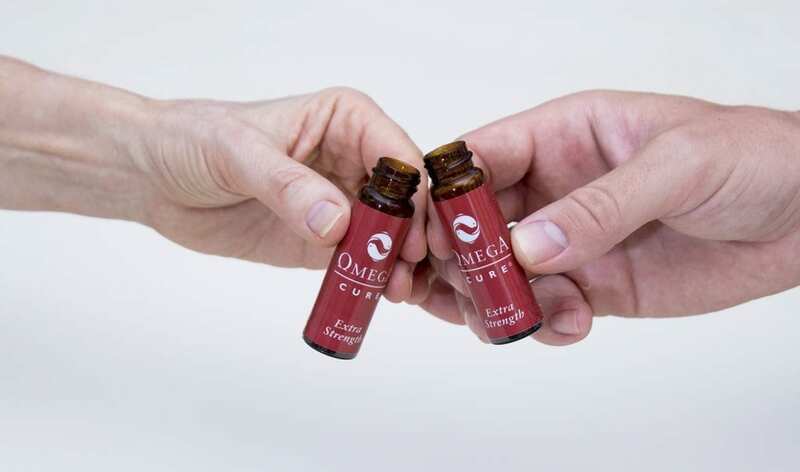 As researchers from New Zealand (9) to the United States (10) have also pointed out, the freshness and quality of an omega-3 oil will additionally impact its potential benefits. In short, to experience benefits from an omega-3 supplement, you have to get an adequate dose and you have to get a fresh product. One of biggest misconceptions with taking fish oil is the dose necessary to produce results. Most people think of melatonin as a jet lag treatment or sleep aid, but melatonin is also gaining a reputation for its role in cancer biology. 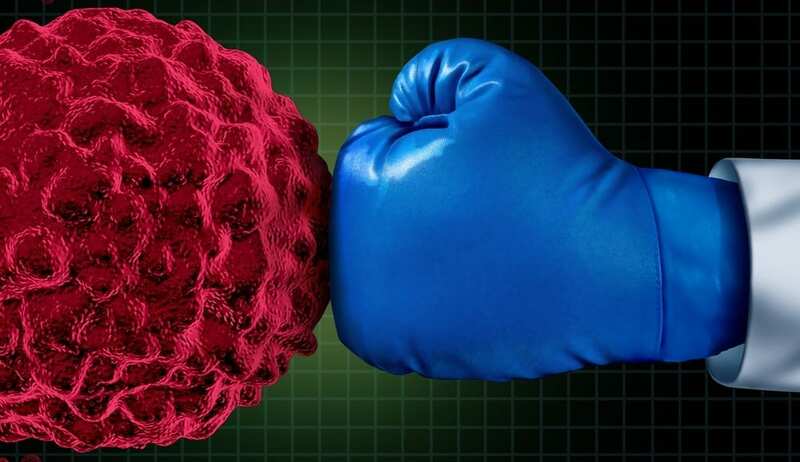 Professor Russel Reiter from the University of Texas has described how melatonin is able to inhibit cancer cell development at every stage in a multitude of cancer cell lines. He and his team also point out how melatonin may even make chemo- or radiation-resistant cancers more sensitive to treatment. In addition, melatonin also seems to help protect the body from the toxic side effects of chemotherapy. In the end of the review, the authors ask why this inexpensive, effective substance is not being widely used in cancer medicine, stating the application of melatonin in clinical settings “has been questionably and possibly unethically slow” (11). In another review article from University of Granada, Spain, Cutando et al examined randomized controlled clinical trials that used high dose melatonin (typically between 20 to 40 mg per day) in conjunction with chemotherapy, radiation therapy and supportive care. The authors concluded that, “melatonin could indeed be considered a physiological anticancer substance” (12). Another review from University of Tehran, Iran discussed the benefits of combining radiation therapy with melatonin supplementation. The authors conclude that, “melatonin may act as a potent anti-tumor agent,” as well as ameliorate the adverse effects of radiation therapy (13). At the time of writing this, the only clinical trial I have found combining high dose omega-3 fish oil with melatonin in cancer research was performed at the University of Uppsala in Sweden in 2005 (14). The researchers used approximately the same dose as two vials of Omega Cure with 20 mg of melatonin. The study included 24 patients with gastrointestinal tumors and documented weight loss. When the patients used fish oil alone, it stabilized weight loss in 38% of the patients. For the patients that used melatonin alone, it stabilized weight loss in 27% of the patients. When the patients were given fish oil and melatonin combined, however, it stabilized weight loss for 63% of the patients. The Uppsala study was small, but the findings are intriguing. Weight loss in cancer patients is known to reduce the quality of life and survival time. So if for no other reason, giving omega-3 and melatonin to cancer patients seems to provide excellent dietary support. However, it is important that the omega-3 oil be fresh and non-oxidized. Otherwise, it will likely cause gastrointestinal discomfort, nausea and low compliance. Today, Patti is continuing to drink two custom-made vials of Omega Cure with 7000 mg of EPA/DHA and 30 mg of melatonin a night as an adjuvant to her cancer treatment. She has not reported experiencing any side effects or intolerance with using the vials. It is important to understand that Omega Cure with melatonin is not an alternative cancer treatment. It is a combination of well-researched nutrients, assembled with high quality ingredients at effective doses. Omega Cure with melatonin empowers the cells by providing large amounts of the body’s own disease-fighting molecules, which are often abnormally low or out of balance in cancer patients. Numerous scientists have recommended using omega-3 and melatonin as adjuncts to cancer treatment. And it makes sense. Compared to other immunotherapy drugs, supplementing with omega-3 and melatonin have no known serious side effects and are, relatively speaking, inexpensive. With their history of potency and safety, this combination of omega-3 and melatonin has the potential to make a powerful impact on how we treat cancer patients. 1. 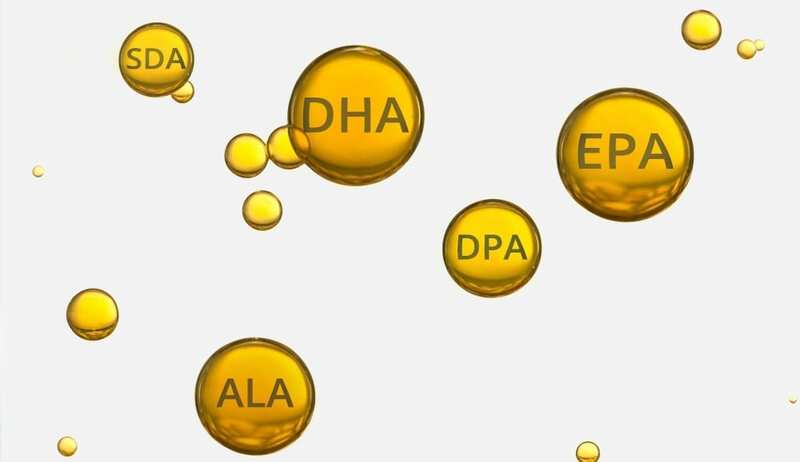 Menendez, J.A., Lupu, R., and Colomer R. Exogenous supplementation with omega-3 polyunsaturated fatty acid docosahexaenoic acid (DHA; 22:6n-3) synergistically enhances taxane cytotoxicity and downregulates Her-2/neu (c-erbB-2) oncogene expression in human breast cancer cells. European Journal of Cancer Prevention (2005). Jun; 14(3): 263-70. 2. Gogos, C. et al. Dietary omega-3 polyunsaturated fatty acids plus vitamin E restore immunodeficiency and prolong survival for severely ill patients with generalized malignancy. Cancer (1998). 82: 395–402. 3. Lissoni, P., Chilelli, M., Villa, S., Cerizza, L. and Tancini, G. Five years survival in metastatic non-small cell lung cancer patients treated with chemotherapy alone or chemotherapy and melatonin: a randomized trial. Journal of Pineal Research (2003). 35: 12–15. 4. Zhang, H., Hamilton, J.H., Salem, N. Jr., Kim, H.Y. N-3 fatty acid deficiency in the rat pineal gland: effects on phospholipid molecular species composition and endogenous levels of melatonin and lipoxygenase products. Journal of Lipid Research (1998). Jul; 39 (7): 1397-403. 5. Rosales-Corral, S.A., Lopez-Armas, G., Cruz-Ramos, J. et al. Alterations in lipid levels of mitochondrial membranes induced by amyloid-ß: A protective role of melatonin. International Journal of Alzheimer’s Disease, vol. 2012, Article ID 459806. 6. Nabavi, S.F. et al. Omega-3 polyunsaturated fatty acids and cancer: lessons learned from clinical trials. Cancer and Metastasis Reviews (2015). Sep; 34 (3):359-80. 7. Stephenson, J.A., Al-Taan, O., Arshad, A., Morgan, B., Metcalfe, M. S., Dennison, A. R. The multifaceted effects of omega-3 polyunsaturated fatty acids on the hallmarks of cancer. Journal of Lipids, vol. 2013, Article ID 261247. 8. Allam-Ndoul, B., Guénard, F., Barbier O., Vohl, M. C. A study of the differential effects of eicosapentaenoic acid (EPA) and docosahexaenoic acid (DHA) on gene expression profiles of stimulated Thp-1 macrophages. Nutrients (2017). Apr 25; 9(5). pii: E424. 9. Albert, B. B., Cameron-Smith, D., Hofman, P.L., and Cutfield, W. S. Oxidation of marine omega-3 supplements and human health. BioMed Research International, vol. 2013, Article ID 464921. 10. Wang, W. et al. Chemistry and biology of -3 PUFA peroxidation-derived compounds. Prostaglandins Other Lipid Mediators (2016). 11. Reiter et al. Melatonin, a full service anti-cancer agent: Inhibition of initiation, progression and metastasis. International Journal of Molecular Sciences (2017). 18(4), 843. 12. Cutando, A. et al. 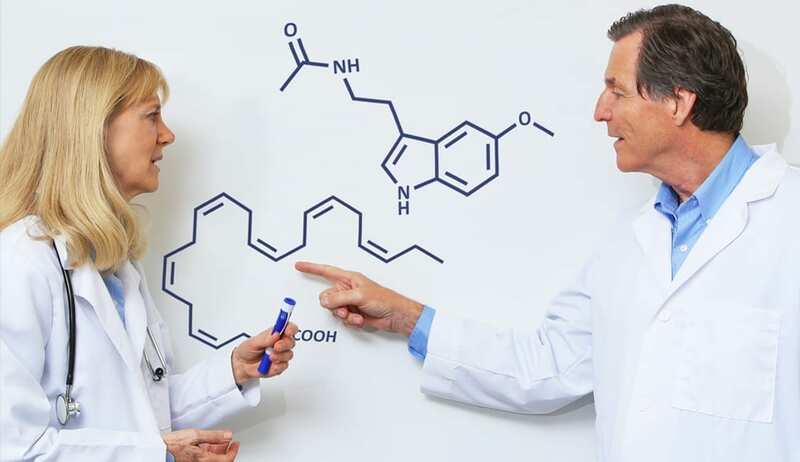 Role of melatonin in cancer treatment. Anticancer Research (2012) 32: 2747-54. 13. Najafi, M. et al. The melatonin immunomodulatory actions in radiotherapy. Biophysical Reviews (2017) 9: 139-148. 14. Persson, C., Glimelius, B., Ronnelid, J., and Nygren, P. Impact of fish oil and melatonin on cachexia in patients with advanced gastrointestinal cancer: A randomized pilot study. Nutrition (2005). 21(2): 170-178. I have tried calling but your mailbox is full. I received this information from Dr. Ed Stolarski’s office and his Pfizer research group including Jackie and Jesse. I would like to be able to speak with you. I am an RN. My husband is from Denmark and we respect the work done and recognize the difficulties in dealing with the FDA. Thank you. Hi Mary Jo, I’ve passed your message along to Dr. Martinsen. He will be reaching out shortly.